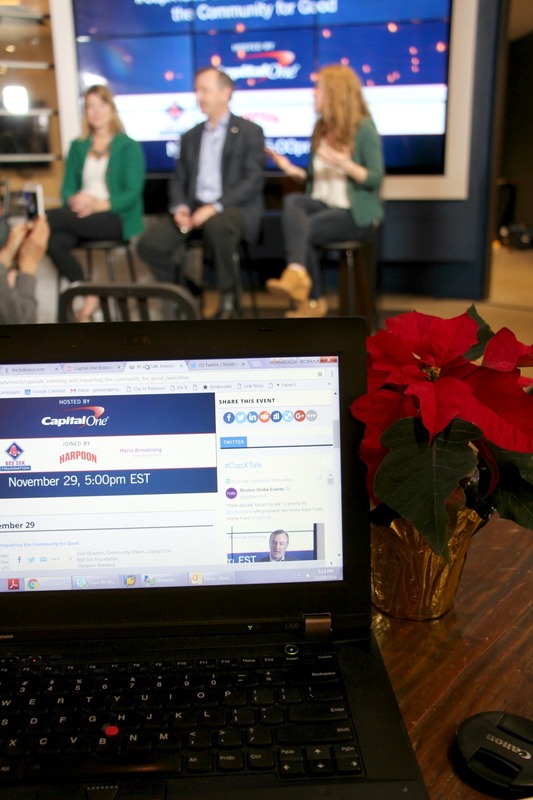 I was invited to attend the Capital One #CapXTalk and while this is a partnership with them, all of the following is 100% authentic and honest, I promise! Don't know what kind of panel discussion that Capital One could have that would be of interest to me? Well, being that it was Giving Tuesday and the theme of the discussion was on Investing and Impacting the Community for Good. Now doesn't that seem like something right up my alley? Well, yes it was. I'll be honest, I enjoyed the discussion a lot more than I thought I would. 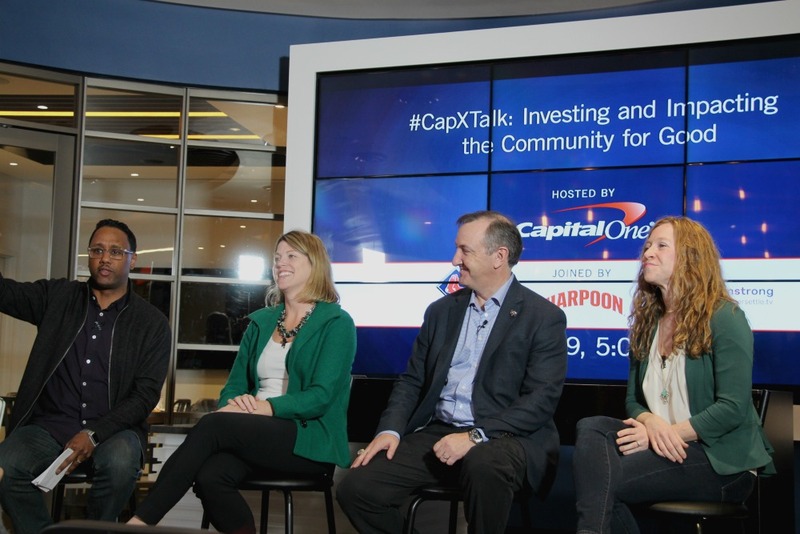 The #CapXTalk panel discussion is part of Capital One’s continued growth in Boston and ongoing efforts to reimagine banking. Reimaging banking, not something I thought I would write about... but just walking into the Capital One Cafe concept on Boylston Street, I was pretty stoked that there was a place like this out there (and 5 and counting locations in and around Boston with new ones opening soon in Lynnfield, Hingham and the Seaport). You can do your banking (duh), you can set up a work space,you can access banking tools and you can get coffee to fuel all of these efforts. Hello, pretty genius. The panelists at this particular CapXTalk were obviously ones that resonated with locals, Michael J Egan from the Red Sox Foundation and Jessica Cox, Director of Harpoon Helps from Harpoon Brewery talked about local philanthropic efforts which were super interesting to me. I do fancy myself as someone who likes to try to do good in my community, donate money whenever possible to charitable causes, volunteer my time if I'm able so I found it really interesting to hear from a more corporate side what they think about when being charitable. I took some really interesting tidbits from the talk and wanted to share because I loved the messaging. 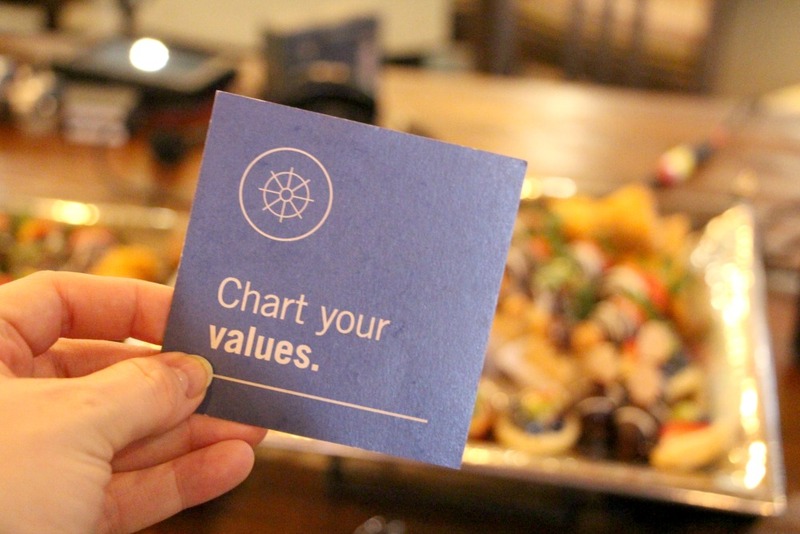 Whether it was about the need to be a giving person or what it means to be authentic, even though this talk was presented by Capital One, it really did give me some things to think about. *This is a sponsored post written by me on behalf of Capital One. Thank you as always for supporting brands that help Prim and Propah be it's best!